Today the Daily Pilot published online an article that will appear in print on Sunday titled, "Police: Politics harming recruitment", which drills down into the core problem Costa Mesa is having trying to recruit, test and hire new police officers. You can read the article by Jeremiah Dobruck and Lauren Williams HERE. The first paragraph sets the tone - a reduced number of applicants and a tough political climate is hampering recruitment of police officers in The City. Following the text of the article the authors provide statistical information to illustrate some of those facts. In between we find some interesting rhetoric. The article, which does a very good job of explaining the issue, quotes an officer who left the department for another describing the city as, "a social experiment in overly radical political reform." Sounds right to me. Mayor Jim Righeimer, who has demonstrated his animosity against the CMPD over and over again, brushes off the supposition that the toxic political climate plays a part in recruitment difficulties. He is quoted as saying, "The reality is there's a lot of great officers in really great departments who would love to work at Costa Mesa." He goes on to say, "The idea is that there's only so many good officers available is self-inflicted." Will someone please tell me what alternate universe Righeimer lives in, because he sure isn't living here! I guess he thinks everyone makes up "facts" because that's how he operates. Police Chief Tom Gazsi is quoted, in part, as saying, "It's proving to be a challenge, not only for us, but for other agencies as well to find qualified, suitable candidates. It is a very competitive market right now." Are you listening, Mayor? Probably not. If the word of our chief isn't good enough the Pilot reporters quote Mario Casas, president of the Orange County Training Managers Association, which represents more than 40 law enforcement agencies in Southern California, who agreed the market is competitive. The article quantifies the numbers and ranks of officers who have left the department recently - 38 - and Gazsi expands on the problem by indicating with a quote from him last December indicating that he expected to lose "20 officers in an 18-month period". We're half way there and his prediction is coming true. Later, during a discussion of the difficulty finding qualified applicants that can make it through the qualification process, Righeimer - questioning the standards that are used - is quoted as saying, "Who decides what's eligible? I've asked before. Some are good reasons, some aren't. For someone to say, 'We're going to make the standard so high that anyone that is 27, 28 years old with a blemish in their life' is too high. ...I just think in general the standards need to be looked at and what's the reality." 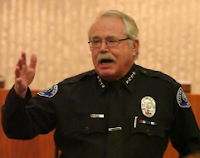 So, I guess the mayor may want us to kill two birds with one stone - just go down to Lions Park, grab some of those 20-40 homeless guys that hang out there all day, every day, throw a blue uniform on them, hand them a gun and badge and turn them loose as Costa Mesa police officers. Does the mayor REALLY want his family protected by marginally qualified glorified security guards? There are plenty of examples of marginal officers in other jurisdictions that create major problems for their cities. There is a statement in the article that almost made me choke on my mashed potatoes. 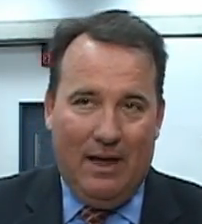 The authors state, referring to Mayor Pro Tem Steve Mensinger, "Mensinger said he believes that he and Righeimer have the support of most of the CMPD's members, who undestand that pension benefits must be trimmed if they are to remain sustainable, but that a vocal minority is working behind the scenes to discredit proposed reforms." Really, Steve? Are you actually THAT out of touch? If there is ONE member of the CMPD that supports these two guys and their plans I'll be VERY surprised. If there are ANY members of the sworn force on the CMPD that DO support Righeimer and Mensinger's initiatives I want you to write to me privately using a verifiable email account to this address - thepotstirer@earthlink.net. I won't publish what you say unless you give me your permission and will keep your correspondence confidential. I really do want to hear from you. There is a discussion of the staffing levels being used today, which you can read in the article. Mention is made of former interim chief (twice) Steve Staveley, who resigned in June of 2011, leaving behind a scathing letter criticizing the then-council. You can read the text of that letter in this blog entry I posted at the time, HERE. Staveley was right on the money then and is still correct. The article also quotes former CMPD Chief Dave Snowden, now chief of the Beverly Hills Police Department, extensively. Congratulations to Daily Pilot editor John Canalis and his staff for producing this excellent fact-filled piece. It is refreshing to find such a thoroughly-vetted piece for our consideration. And thanks to Mayor Jim Righeimer and Mayor Pro Tem Steve Mensinger for demonstrating, one more time, just how out of touch they are with the realities of the day, and how unwilling they are to consider any other view - regardless how factually supported, nor the qualifications of those who present it - except their own ignorant, biased view of the world. Agreed that the competition for qualified applicants is fierce, and that uncertainty, whether real or manufactured, places an extra burden on recruitment. CMPD is affine department, we should not further poison the well. Officers will see many councils in a career. Further poison the well? Reality check...it's already done. I read the DP's article just after it was posted on line. The quotes attributed to Righeimer and Mensinger show just how divorced from reality these two are. Seriously, I believe these two could look a person in the eye and argue that up is down, and down is up. They would happily and quite obstinately argue that the world is flat. It is all politics, all the time. Kudos to the DP for covering this important topic. Post scriptum: Big Stevie and Riggy, G4S provides patrol services in certain foreign countries. Pass your own Municipal code authorizing this transition from real cops to fake ones. It won't matter that this new law would likely conflict with State or Federal laws. One seeking to stop you would have to do so in court. Man, you guys love being court! It would take years to successfully challenge you, two, in court. Meanwhile, you get to strut around town bragging of your short- term accomplishments. The media coverage alone would be worth it as it would no doubt help you take your political careers to the next level. My last paragraph was pretty ludicrous, wouldn't you say? I found the Mayor and Mayor Pro Tem's statements regarding police recruitment to be equally ludicrous. Jim Righeimer and Steve Mensinger, you really complete each other. I notice all the cops want to go to the safe cities. no comptons, long beach, etc. just give em Beverly hills and Newport. well, we have a record here of no cops being killed by bad guys so we will be near the top of the wish list. let's see, Pomona or costa mesa, which is safer? Fred Flintstone and Barney Rubble, aka Riggy and Mensy, are a disgrace to Costa Mesa. Crime is up and they're STILL not telling the truth. There are a lot of George Zimmerman types who would love to put on the badge and gun and have the authority to "deal" with people. The numbers do bare that out. The lines are long and it costs the city a ton of money sorting through all of them. However... besides the obvious problems you would have with insensitive bullys as cops, there's another price to pay just waiting down the road. The potential for a buget wrecking lawsuit. The city (taxpayers) are liable for what a jury might award someone who was not treated properly (shot) by one of our cops. The trust that you have to have in giving somebody one those badges is huge. And that is the "difficulty" in finding and retaining cops. Not whether they can find someone who wants to be one. Someone who will shoot and fight and tell you what to do. Is that all you want? Be careful what want! It's clear that Righiemers answer to hiring enough cops to replace those who choose to go elsewhere, is to just lower the "requirements". He's right that there are thousands that would take the job for less (I'm sure that will be pointed out many times in the near future) In fact probably every security guard that hasn't been able to get past the hiring process. The money "saved" by grounding ABLE and slashing staffing levels won't pay for a fraction of the kind of lawsuit the city could suffer if Righiemer has his way with hiring and we get 'George' as a cop. Here's the other posibility I see on the horizon... The Sheriffs Dept. When the CMPD gets to a point that they are so understaffed they can't provide an acceptable level of service, that is going to come up. It's going to have to, because it takes so long to hire and get a new (never done it before) cop up and running, the city is going to be behind the 8-ball. When it does, we'll hear how it will be the same service (even better) for less. Just like how HB-1 is so much better for less, bla, bla. It won't be long now and the "cop thing" is going to be the major news here in Costa Mesa. 'WE don't want YOU'... YOU're full of IT. 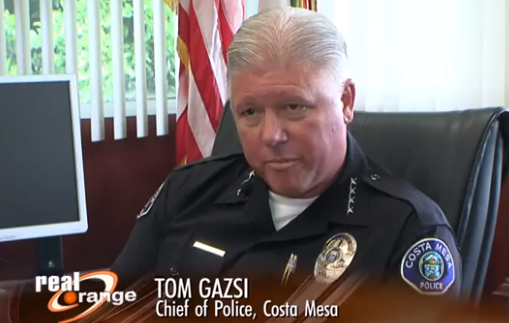 Have cops been killed in the line of duty in Costa Mesa?... YES. Are you a liar and a coward?... YES. Instead of the phony one he used to bully that baggage clerk at JWA, let's give Stevie a real badge! We can anoint him "Sheriff of Costa Mesa," he can deputize various friends, and patrol the town 24/7! Tommy Lee, we'd have a lawsuit against the city within hours for everything ranging from sexual harassment to theft if he had a real badge. Plus, the guy cannot shoot worth beans, as exhibited at the recent shoot out where he came in dead last. ( it's obvious he bought all the dead heads hanging on his walls). Both these guys, Riggy and Mensy, have nothing behind them except big mouths and an ability to lie while looking you in the eye. Since when did Jim and Steve become the experts on everything? Even more than the professionals who not only have spent their entire career doing the job, but who also know and follow the State code for policies and procedures to do the job. These two continue to play fast and loose with policies that are in place to protect the community from corrupt politicians. And they have shown they will never take responsibility for their actions and decisions, just create excuses, and are always the victims - especially to the " unions". Having seen how these guys work first hand, I'm willing to bet that they had a friend who couldn't pass (probably the background), so now they want to lower the bar to justify the hire. Just like Lobdell, Joyce, Knapp, Brumbaugh and some of their other out of work friends. Mensinger is already roaming the town taking pictures of.people's property and sending them to code enforcement. If you see him turn your hose on him. 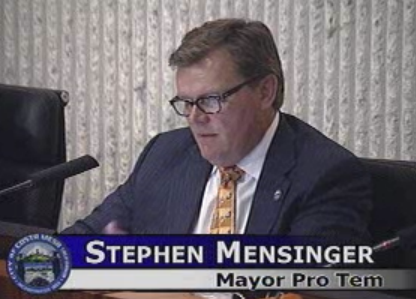 Mensinger is also infamous for following and harassing our city employees since Day One! NO ONE in the history of our city has done that. Who does this guy think he is?? He needs clarification of his job description as a councildude and who he answers to. It's not Scott Baugh. Come to think of it, all the councildudes need a reminder in this area. "I have never, however, seen a council such as this one. They lack skill, training, education, knowledge, they fail to study (or at least learn). The majority either lies or are so lacking in the necessary skills that they actually believe the junk they say. They act as if they are owners of the business that is the municipal government of the City of Costa Mesa, but they are not, they are merely trustees of these public assets both human and physical and they fail in that role completely. They are in my opinion incompetent, unskilled and unethical." No wonder BOMOPs has been ordered to continuously target and trash Chief Staveley! Staveley knew the councildudes well and knew they were and continue to be the problem. Scott Baugh will not allow that. riggy and mensy don't have to be experts on cops. we pay big bucks for a police chief. riggy needs to set the strategy ($$$ we can afford) and police chief then uses his tactics to deliver best he can. Stavely wasn't up to it. And to disgusted: I think the guy said no cm cop had been killed by a bad guy. don't think that is a lie. we had a helicopter crash. we had a drunk, texting detective but that is not really saying we have the same risks here as in Pomona, Compton, etc. we are closer to where the cops want to go: Beverly hills, Newport beach was the point. God I miss Stavely. He is one BADA$$ guy! If we weren't a slave to debt, we would ALL tell these guys to SHOVE IT, just like Stavely did. I laugh at the ones who keep posting things like, "LOL Stavely"
Yeah, we're laughing too because he told it like it was and had the luxury of giving you ALL the finger. It's still a sorry place here Chief. Thanks for all that you did and tried to do. Nothing but Spineless YesScum Management collecting a paycheck telling Pigheimer what he wants to hear. Will Fred Flintstone Righeimer and Barney Rubble Mensinger try to save their sycophants Cordon and Joyce, or is it too late? If Joyce is squeezed, does he know anything that could impact our cave-friends? Lance Nakamoto is a fine HR guy. I don't see him authorizing admin leaves until he has all of this ducks in a row, i's dotted and t's crossed. Lance is no dummy. You can't mess with 5th floor private army unless you have it all squared away. It would take an amazing spin to see those 2 come back. Having said that, I would not be surprised if Righeimer uses this to his advantage. I see headlines like, "Mayor Righeimer uncovers corruption at city hall"
What will Gazsi do to fill the 15-20 more leaving in the next 4 months? I will take ALL bets that Gazsi is out of there within six months OR after a contract is imposed on the POA. Good luck, Costa Misery. You are going to implode. Henry Segarstrom, care to chime in? Haha! we can stop all this bickering very easily. give the cops all they want, they are superior beings. give our employees what their negotiators want, they are the bestest. Negotiations be damned, we can't stand them. We can't sleep, we are near tears, and it is impossible to even explain the anger we have at the boyz for negotiating at all. Ask yourself, does it really have to be done at all? It only causes anger. We can raise taxes here and there and cover it all except for the quarter billion dollars in pension liabilities. That risk can be taken by the employees . Maybe it will be there or maybe it won't when they retire. At least pay them big now , live for today, don't worry about tomorrow as the great thinkers The Grass Roots sang so long ago. Why not listen to them? Forget paving streets and improving parks, pay the employees. why should they shoulder the cost of that? He will do whatever he's told to do. He will talk a tough game with the troops, but in the end, he knew what he signed up for. "Will Fred Flintstone Righeimer and Barney Rubble Mensinger try to save their sycophants"
In this latest analogy, Fitzy undoubtedly plays the role of Wilma..
We told you the Unions were coming and they are here. Why this story? Why now? Because the police union negotiations have started. Most of the angry cops have left. That is good. CMPD has been out of control since Snowden left. A leadership void was created and all sorts of bad things happened. You should look into the 4 who were fired. Huggins was promoted so he could spike his pension and then exit. Many want to bring in Stavely and his manifesto as he quit and was replaced in an hour. But we remember Shawkey. Why not ask questions about who turned him in? Are they still at CMPD? Are any of that mutiny still around? How much longer will it take to get rid of them. No police union, you will not be able to get public opinion on your side. You must stand and negotiate. In the open this time. Fire took a deal. Now all eyes are on you. Oh one other thing. Imagine what happens if and hopefully before the election when the DA brings charges in the Righeimer Diet Coke. We will watch them eat their own to save their hides. the cops have a negotiation playbook. they are using it. Righeimer has a playbook, he is using it. Swarm DP Comments, Bubbling Cauldron Blog, blame unions for everything. Imply Joyce is in a union. Keep the subject off my failures at all times. Tell everyone crime is DOWN in Costa Mesa, not "up" like the numbers show. Say no crime has been committed against you so everything is fine. Tell people you saw West and Zint at Union Station so they must be part of a union. Maybe our general city employees will respond with something like this. Members of the Costa Mesa Firefighters Association have agreed not to extend the contract that is set to expire in 2014. The firefighters will go without raises until 2017, pay 10.5 percent of their pension costs, increase the pension contributions for new hires to 19 percent from 10.5 percent, and reduce retirement benefits for new hires to 2 percent at age 50, with 60 percent of the salary after 30 years of service at age 50 or older, the city stated. Your general city employee has already implemented some of this. New hires are now 2% @ age 60, with 60 percent of the salary after 30 years of service at age 60 or older. Pension contributions for general employees were agreed to in 2010 to increase to about 8.52 % . I would have to read their side letter for more information on what else they gave up. Please keep in mind these are the greedy evil city employees who don't care about the taxpayers as I am reading from other commenters. I am sure there are even more things our employees would be willing to negotiate in good faith. Sounds like our very own "Lord Farquar" simply wants to just "lower" the bar of our clearly defined officer "recruitment standards" just so that even more questionable "extended-adolescent twenty-somethings" (i.e. eh,"mature" CMPD Applicants) can easily pass all the "rig"-orous phases of the City's very extensive hiring process. Apparently, Der Rigsheister plans on turning the CMPD into his own "Armed & Famous" episode with "Ponch" from CHiPs and Jackass's "WeeMan" as our new non-sworn "Reserve Officers" to ride along with the newly hired Sworn "Police Academy I,II,III,IV,V Officers to assist with all the City's current AB109 parolee hijinx. Thanks "Councilduuuudes", now all of us long-time CM Voters "feel even safer" with your faster hiring "solution"....Oh gross... I just "vurped" in my mouth! there is NO WAY we take away paying cops to put on their uniforms. that should be standard bonus pay. we are used to it. don't pave a road out of my paycheck. Mesinger, Yes I spelt it wrong, He Is now doing ride alongs with city employees! Yes its true. He has been seen stalking them at work, and slamming on the brakes in front of them to get them to rearend him, what is next??? With Anaheim, Irvine, and Newport hiring, why in the HELL would ANYONE of Q U A L I T Y apply at Costa Mesa PD? CMPD will only get second or third tier applicants. With 15 or so leaving in the next few months (read before negotiations are over), you will HAVE to hire from the second tier! And you thought things are scary now? Stand by!!! What is being forgotten here is regardless of how a person "feels" about what the police officers are saying it is a representation of the morale in the police department. CMPD will be unable to attract their ideal candidates unless they address the instability of the City right now felt by CMPD (the lawsuit, the hostility, etc). There is no doubt a sharp divide in our community over the future of our City. All employers with morale issues face this issue; our 2 city council members should be aware of this. It is simply bad management to disregard or ignore the reasons why officers are leaving for other agencies. Riggy and Mensy have hired a private investigation group, who has been following employees and photographing them. They also photographed the Democratic luncheon the other day to see who came and went. This is getting to be like Nazi Germany. They have also been stalking the employees in their off time at night also. There is evidence of that now. 2) The expose in the Daily Pilot of how Righeimer's politics have caused a problem with police recruitment. Whatever one thinks about unions, they are not to blame for either issue. The Newport bosses have undoubtedly ordered their sycophants to scream union union union in a futile effort to save their boy's political skin. The money people are tired of these failures. Change is coming. Real Republicans are stepping forward to rid their party of these ineffective, polarizing extremists. Alamo: police contract negotiations have not started. Not until this time next year. Sorry, but you're wrong. Lance: CMPD officers do not get "paid to put on their uniforms." There's is no donning and doffing pay. It's actually a silly concept. Admittedly, There is pay for working uniform patrol, however it is differential for working shift work. I have received shift differential working in the private sector too. Not an anomaly. Smokescreen: actually the exact opposite is true. Officers are putting the word out to friends interested in applying. We want to get our staffing where it is meant to be. Any other myths or innuendo you would like debunked? You always talk about such high hiring standards. Yet there have been police officers fired. Hired way before Righeimer was even a resident of Costa Mesa. If CMPD is the bestest, why did so many have to be fired? Why do you think the former cop union boss can't get a transfer? He passed all your recruitment tests. Now he is a campaign trailer driving, break stacking fornicating adulterer according to public stories. Why? Is he the type of recruits you are looking for? How many other in your ranks need to go before we can hire and regain a respected department? Denystify.....thank you for making a strong argument for maintaining high and stringent hiring standards, even though it was obvious you weren't trying to so. It's obvious your intention was simply to again disparage CMPD officers. It's true several officers had to be fired over the past decade or so. This is under the past and existing stringent hiring standards. Common sense would dictate this situation would only get worse with less stringent standards. Thanks again for making the argument to maintain the high hiring standards. I hope Rig and the boys go easy on you for doing so. Have a nice day. "Denystify" (SP? ): I think the answer is in your question. The standards are high. If you violate them, punishment can result in termination. These are human beings. Human beings sometimes make bad choices. Those bad choices have consequences as you have pointed out. I suspect your question is largely rhetorical so that you can publicly point out those mistakes of the past. Lance: You state unequivocally that candidates "ARE" being warned to take away. I submit that is a lie. Unless you can proffer some type of evidence I choose to dismiss your opinion as falsehood. I can tell you that the recruitment teams made up of line level officers who are working hard to bring the staffing levels up to where they are meant to be. Trust me, no one is going "face troubles" from existing officers for choosing to work at CMPD. Thanks for Proverbs. ever hear of an eye for an eye. Until your union apologizes to Righeimer for all they have intentionally done, the game is still on. Until your police union goes public with a reprimand for the former union boss that fornicates with citizen academy badge bunnies stacking breaks to do so while other boys in blue make runs to Victoria Secret it is on. Sorry you could not pawn him off to your buddy in Beverly Hills. We know negotiations have started. You fired the first shot. We love your strategy so far. You know where it will take you right? It is very disturbing that a certain tool seems to have inside knowledge of where a certain officer has applied and what the outcomes were. Geoff, why don't you look into that for us. Why are Rig-trolls now apparently threatening our police officers? I have never heard any officer say the things we are being accused of. Sad Mr. Righiemer and his followers feel they have to bold face lie about things they know nothing about..
Not sure who's worse or more disingenuous. Rob Dickson to the police article or Byron de Arakal's comments regarding Perry Valantine's commentary. Nod goes slightly to Dickson who misrepresents what Leece says. Her comment is about the lack of QUALITY candidates for police jobs. If this council and Dickson can't comprehend that then they don't belong in positions of leaderships. Dickson blatantly misrepresents Leece's comment implying she was talking about the numbers of APPLICANTS. Leece is entirely correct stating using total applicants numbers is disingenuous when we are talking about the number of QUALIFIED candidates for police positions. Secondly, Dickson needs to reread the article. He stated he was disappointed the Daily Pilot based the entire article on one officer who is no longer with the department and criticized them for not including current officers. But here is the quote from the Pilot. "according to one current and two recently departed police officers." The Pilot also quoted numerous other sources as evidence to support the article. Former Police Chief Dave Snowden and the president of the Orange County Training Mangers Assoc. Plus the article relied on HR numbers and the entire process and not based on 2-3 people or just on 1 former officer as Dickson states. Dickson it appears likes to be dishonest or he has trouble with comprehension. My guess it's the former. The saddest thing is that Righeimer hints that maybe we have too high a standard. Wow!!! He will keep making inflamatory statements to coax a response and then use it against you...I will mention that he is out of touch with Mr. Righeimer if he wants an apology. I spoke to Mr. Righeimer at the OC Marathon and he never mentioned needing an apology. Why would he have shaken my hand if he was upset? I will mention that everything posted during the election were 100% fact checked. I even used discretion by not mentioning his affiliation with SunCal during their corporate bankruptcy - because I thought it was a stretch. And we never made it personal no matter how his camp spun it. I understand that there are people who just attack the messenger if they cant dispute the facts. That is obvious and I think more and more people are catching on to their game. They want to make this confrontaitonal and then cry foul to get votes. For "Alamo": I find it concerning that you post something about a grand jury investigation coming out during election time? That would mean someone manipulated the Grand Jury and the District Attorney for election purposes?!? I hope someone forwards your URL and statement to the proper authorities for followup. Lex: wow, talk about a prideful nature. I will not pass judgement because I don't know you and even if I did its not my place. If I understand you correctly, and you were pretty clear; Righeimer should seek retribution and that's what he's going to do through negotiation? "The game is still on" I believe is how you stated it. It's sad that this is the condition of the relationship in this city. It's that very attitude you so plainly displayed that is the problem. Matthew 5:38 does in fact speak of an "eye for an eye." However Jesus' intent is often taken out of context because people only look at that one line and interpret it in a literal way. If you study scripture and are versed in it you would know that it is not a literal meaning. In fact Jesus meant that redress of grievances should be taken before the court for vindication. There is plenty of scholarly writings on this subject. We are all sinners and pointing out the sins if others is hypocritical and sinful in itself. If you are at all familiar with Matthew, perhaps you should "take the log out of your own eye." While you are in Matthew, take a look at 18:21-22 on forgiveness. Let the past be the past and put first things first. You will feel better. Thanks Officer. We know who protects our families in Costa Mesa and it isn't Fred Flintstone and his followers. Action is being taken. Partners in a local law firm are already looking into about why certain communications originate from their offices. It was plastered with someone's name wasn't it? Sort of makes it personal. Riggy doesn't ask for an apology because that trailer helped him to victory. It was the stupidest decision ever to tow that around and put his name out there even more. idiots. please do it in the coming election. we know it isn't personal even if our name is on it. Well if it isn't the fornicating adulterous break stacking guy who visits a badge bunny he met at a citizens academy and sees here 10 times in a month while on duty while others covered for him and yet others went to Victoria Secret. How can CMPD say they are a good agency with the likes of a union thug like this? It seems to us that the Chief of BH hired a bunch from the ranks. Why not others? Why not a union thug? The reality is that we are stuck with some thugs. everyone see the types of thugs we have? Alamo says "if" and this guy wants to intimidate the person by threatening to take an individual to the DA. Shame on a sworn officer to make such allegations. Someone should investigation who else needs to get pushed out of the department. If anyone thinks the bald freckled guy left on his own needs to buy a bridge in Idaho. HEADLINE "Costa Mesa Police Officer Accused Of Having Affair While On-Duty"